Gallo Report on the future of EU copyright: repression or reflexion ? Paris, May 25th, 2010 – The Gallo Report on the future of “intellectual property rights” (IPR) enforcement will be voted on June 1st, at 9 AM,1http://www.europarl.europa.eu/activities/committees/calendarCom.do?language=EN&body=JURI in the Committee for Legal Affairs (JURI) of the European Parliament. Since no compromise was found between the members of the committee, two visions will frontally oppose. While the rapporteur — French sarkozyst EPP member Marielle Gallo — is pushing for more repression to tackle online file-sharing, some positive amendments from all the other political groups2http://www.laquadrature.net/wiki/Rapport_Gallo_Amendments seek to end the dogmatic repression and call for the consideration of alternative schemes to fund creation. Every citizen concerned by the future of copyright in Europe and by the open nature of the Internet should express their views to the Members of the JURI committee3La Quadrature’s wiki-based tool Political Memorycan be used for this purpose..
More and more evidence4See a compilation of studies regarding file-sharing: http://www.laquadrature.net/wiki/Studies_on_file_sharing_eng — including the recent US Government Accountability Office report5Link to the GAO report itself: http://www.gao.gov/new.items/d10423.pdf and its summary in Le Monde: http://www.lemonde.fr/technologies/article/2010/04/19/la-cour-des-comptes-americaine-met-en-cause-les-chiffres-du-telechargement-illegal_1336770_651865.html — show that the alleged negative effects of file-sharing are not substantiated by any rigorous fact finding. Despite such evidence, the entertainment industries are pushing the JURI committee to endorse outdated and disproportionate repressive policies in order to prevent people from sharing cultural works online. The initial report from 6“[The European Parliament] agrees with the Commission that additional non-legislative measures are useful to improve the application of IPR, particularly measures arising from in-depth dialogue among stakeholders”, Paragraph 16. — which don’t involve a judge therefore miss the guarantees of a fair trial — and more criminal sanctions7“[The European Parliament] does not share the Commission view that the principal body of laws with respect to IPR enforcement is already in place; points out in this respect that negotiations on the directive on criminal sanctions have not been successfully concluded and calls on the Commission to put forward a new proposal on criminal sanctions under the Treaty of Lisbon”, Paragraph 6. against file-sharing. Nevertheless, The S&D group of the European Parliament8Françoise Castex (S&D, France), Luigi Berlinguer (S&D, Italy), Stavros Lambrinidis (S&D, Greece), Lidia Joanna Geringer De Oedenberger (S&D, Poland), Bernhard Rapkay (S&D, Germany) and Masip Hidalgo (S&D, Spain)., along with members of the ALDE9Cecilia Wilkström (ALDE, Sweden). and the Green10 Christian Engstöm (Green/EFA, Sweden). groups, seem ready to go in a different direction, trying to adapt law to a new era of digital technologies. Not through repression, but rather through reflexion and a fair understanding of where the opportunities are for the knowledge society and for the funding of creation. These amendments call for introducing flexibilities so that our legal framework evolve in accordance with new technology and widespread social practices, thus preserving the principle of proportionality and fundamental freedoms. 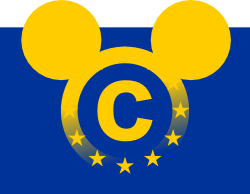 “The vote on June 1st will set the course for the future of copyright and Internet policy in the European Parliament. We will then see whether the dogmatic and repressive, pro-ACTA vision of Mrs Gallo prevails. As long as lawmakers try to oppose the practices enabled by technology with an obsolete vision of copyright, they will fail to revitalize the creative economy and will harm our fundamental freedoms. We must convince the members of the JURI committee that it is time to move away from the dangerous attempts to control copies in the digital world and to invent new ways of stimulating and funding creation”, concludes Jérémie Zimmermann, spokesperson for citizen advocacy group La Quadrature du Net. Amending the Gallo report: Towards a balanced approach to IPR enforcement – La Quadrature’s policy brief on the JURI committee vote of the Gallo report. 3. ↑ La Quadrature’s wiki-based tool Political Memorycan be used for this purpose. 6. ↑ “[The European Parliament] agrees with the Commission that additional non-legislative measures are useful to improve the application of IPR, particularly measures arising from in-depth dialogue among stakeholders”, Paragraph 16. 7. ↑ “[The European Parliament] does not share the Commission view that the principal body of laws with respect to IPR enforcement is already in place; points out in this respect that negotiations on the directive on criminal sanctions have not been successfully concluded and calls on the Commission to put forward a new proposal on criminal sanctions under the Treaty of Lisbon”, Paragraph 6. 8. ↑ Françoise Castex (S&D, France), Luigi Berlinguer (S&D, Italy), Stavros Lambrinidis (S&D, Greece), Lidia Joanna Geringer De Oedenberger (S&D, Poland), Bernhard Rapkay (S&D, Germany) and Masip Hidalgo (S&D, Spain). 9. ↑ Cecilia Wilkström (ALDE, Sweden). 10. ↑ Christian Engstöm (Green/EFA, Sweden).